As the critical device for your process WMP understands the reliability needs of the center pipe. 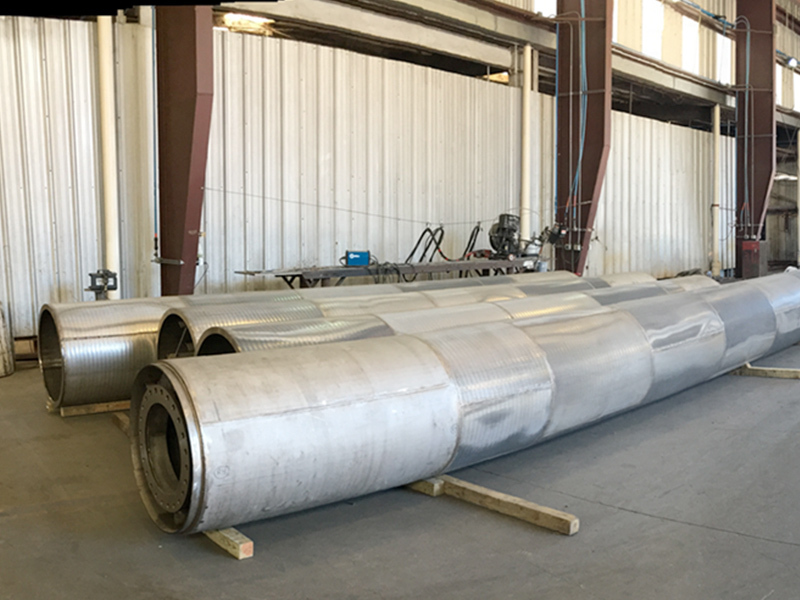 WMP offers our years of fabrication experience and field repair expertise to offer the correct long term or short-term equipment solutions. Full replacement in-kind or sectioned tier to repair damaged areas within a zone WMP will be your one stop to provide the correct solution. Considering an upgrade? WMP offers many options to enhance the performance and reliability of your equipment, such as stiffener rings to improve current design strengths, new construction with thicker plate for added strength, or, the latest enhancements in hydraulic efficiencies – all efforts will be considered to improve or strengthen your current equipment. Profile wire and woven mesh material options are available and are manufactured to meet your process requirements.